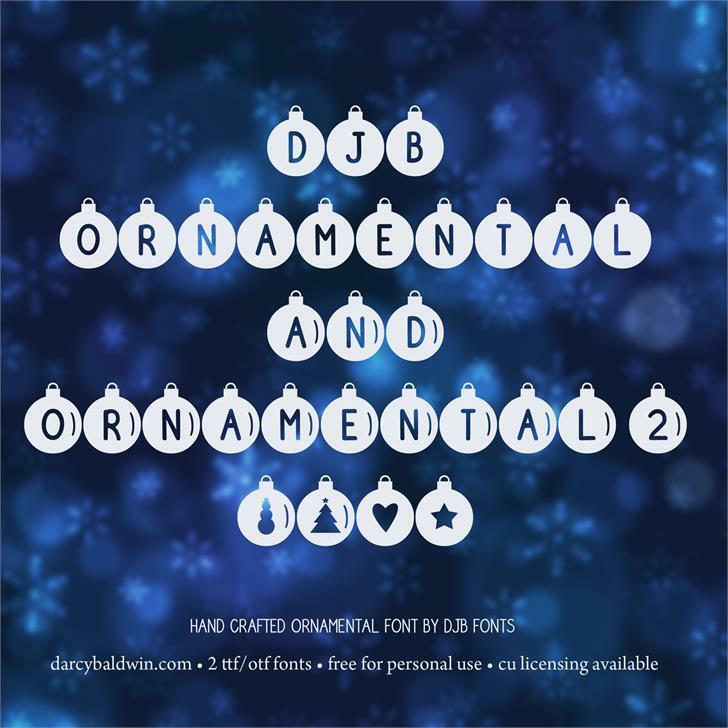 DJB Ornamental is a display font that is great for school papers and bulletin boards, as well as for ads, titles, cards, scrapbooks and more. 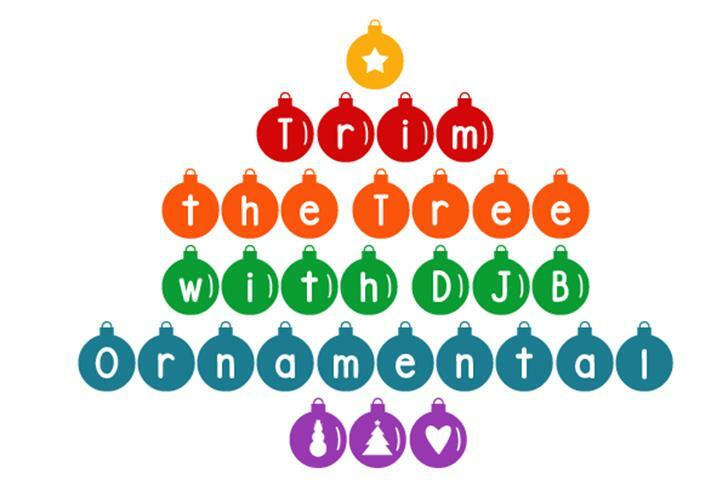 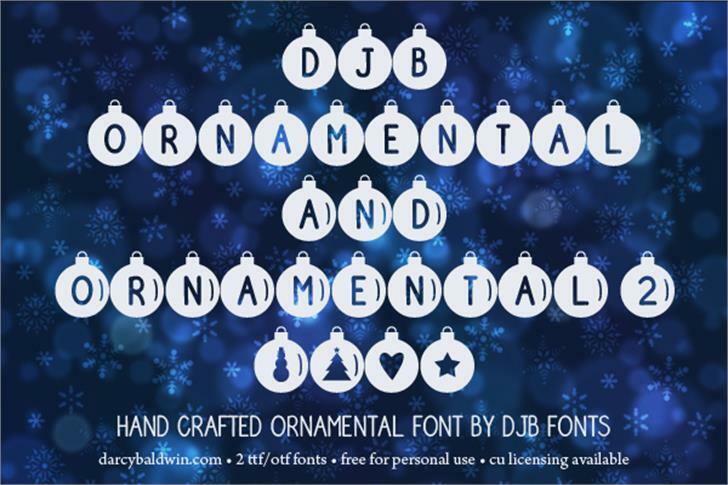 DJB Ornamental ® Trademark of Darcy Baldwin Fonts. 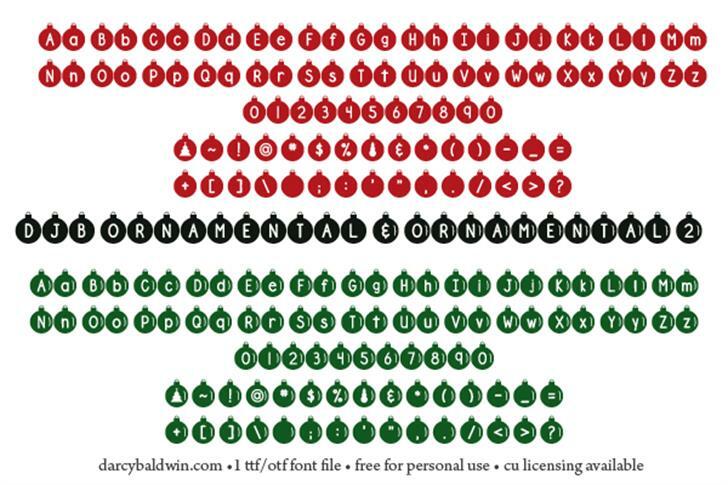 DJB Ornamental 2 ® Trademark of Darcy Baldwin Fonts.